Industrial steel sledge legs are the perfect counterpoint to a contemporary, Snow White lacquer slab. An additional support beam is crafted from Grand Cashew Solids which is sourced from the underwater forests near the Panama Canal. 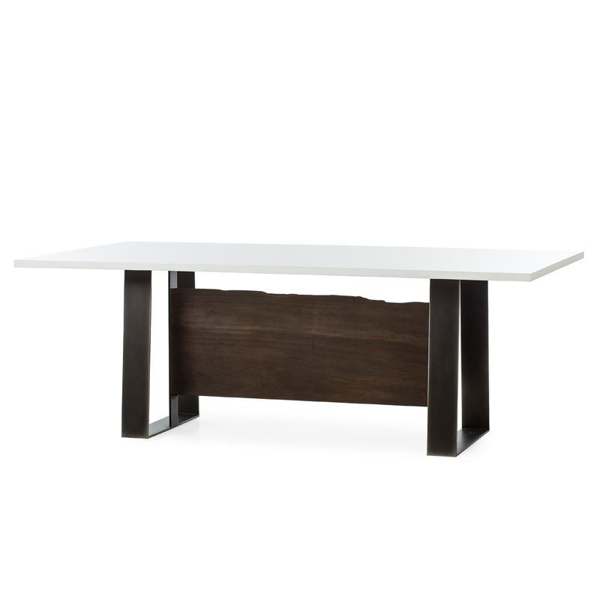 A statement piece for your dining room.